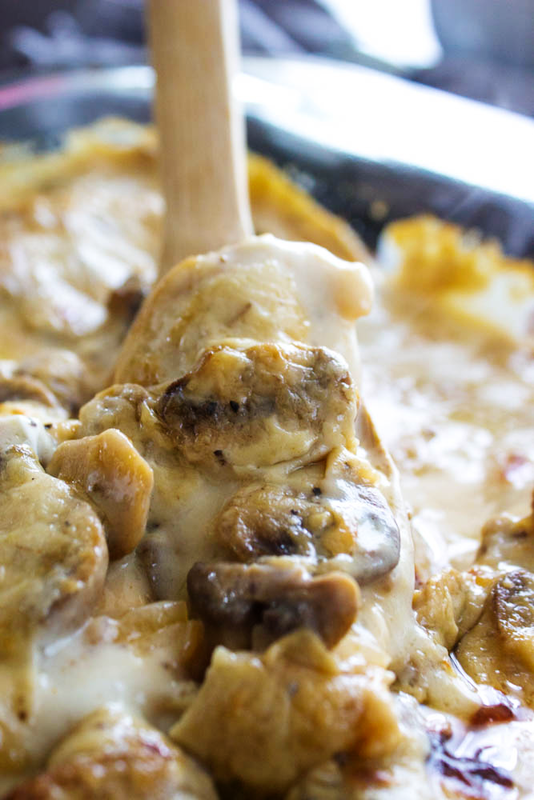 This Creamy Chicken and Mushroom Casserole is an easy weeknight dinner. 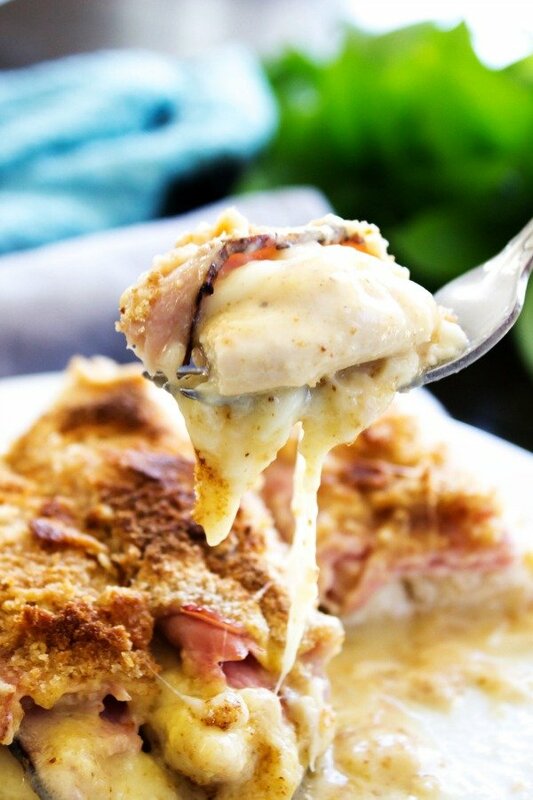 It is saucy, creamy and full of chicken and mushrooms – a meal the entire family will love. During the chilly winter months, I love creating quick and easy casseroles that I can throw in the oven once all the kids are home. What’s so great about casseroles is that you can prepare them ahead of time. Whether it’s earlier in the morning or even right before dinner, it really doesn’t matter when you put all of the ingredients together, it will taste the same. On busy days, I will typically make a casserole in the morning before the kids head off to school, cover it with foil and refrigerate. Then right before dinner time, I preheat my oven, take my casserole out of the refrigerate and then bake it, viola! Dinner is made. Simple, easy and I’ve kept most of my sanity. Now because my entire family loves creamy sauces, I always try to incorporate them into a casserole. Solely because I know they will then eat it, it is full of mushrooms. This is a tip from Mom Hacks: 101. 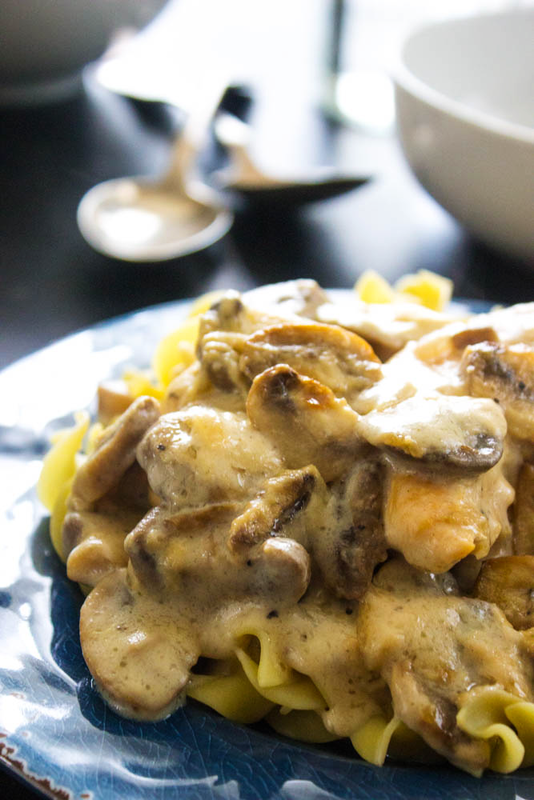 What’s great about this Creamy Chicken and Mushroom Casserole is that you can serve it over rice, noodles or just with bread. Really whatever you have on hand will work. My family prefers egg noodles, while I prefer rice. If you would rather take out the carbs, just make a salad – the two will complement each other well. While I completely get that sometimes it seems hard to whip up a casserole right before dinner, don’t forget that typically you can make them in advance. 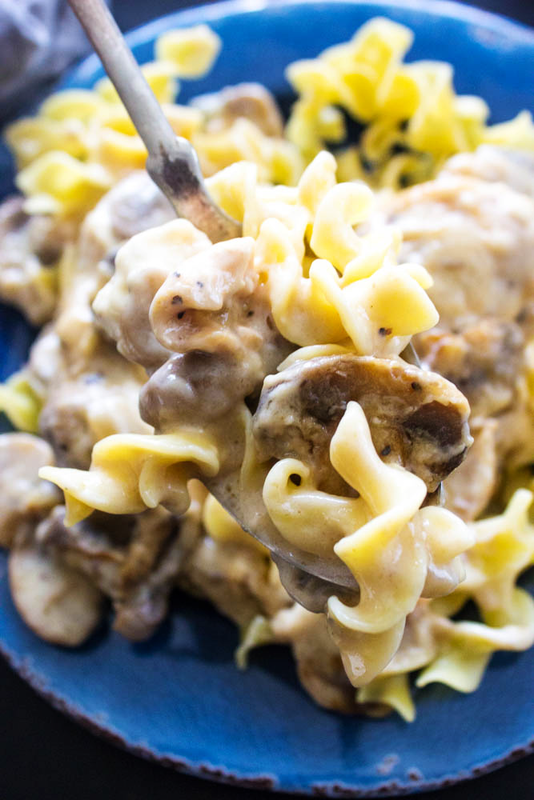 Your weeknights can be simplified with easy recipes like this Creamy Chicken and Mushroom Casserole. 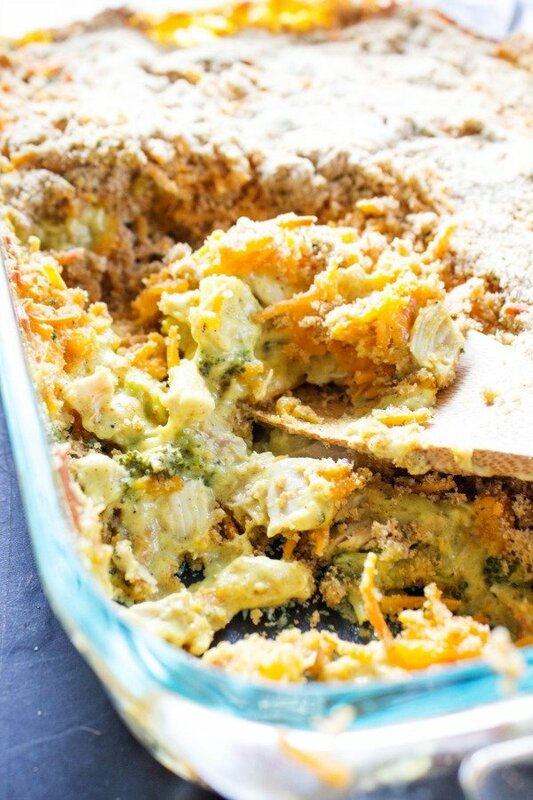 Share your favorite casseroles with us! What are your go-to meals that your kids can’t be without? 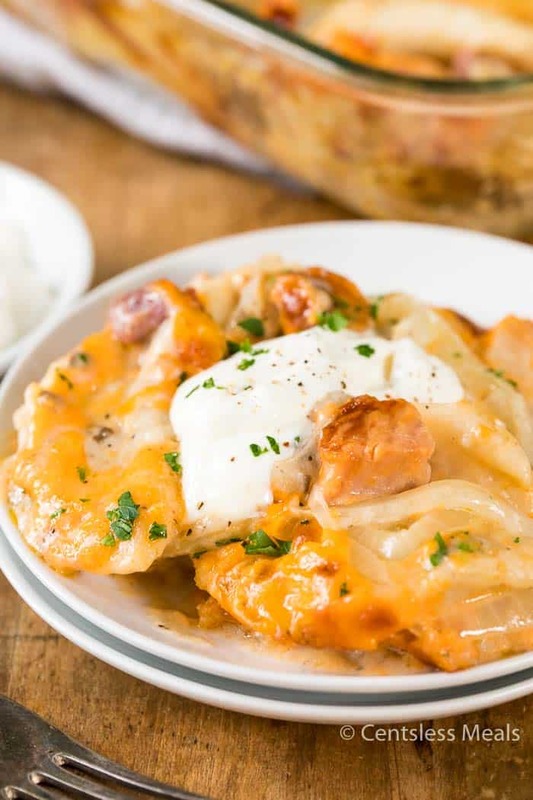 Check out a couple of our family favorites below to get some more delicious dinner ideas. 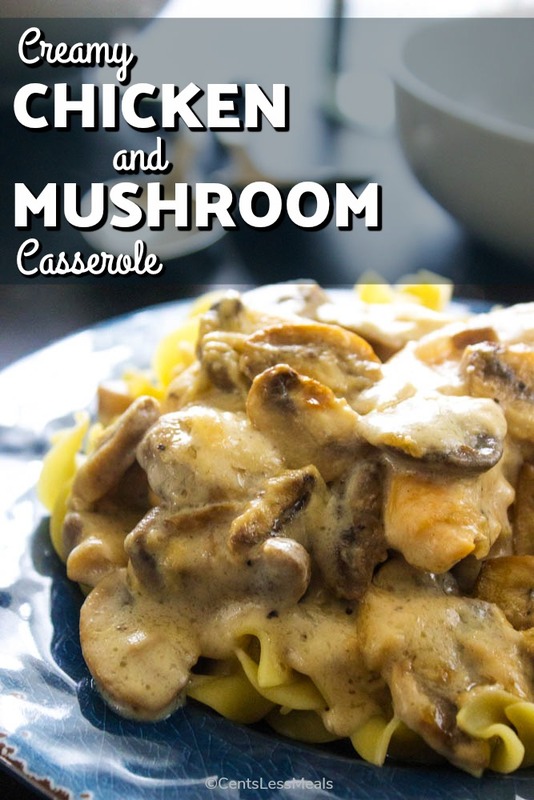 My favorite kitchen items I used to make this Creamy Chicken and Mushroom Casserole. 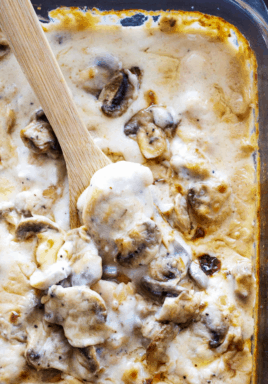 Don’t forget to pin this recipe for Creamy Chicken and Mushroom Casserole to your favorite Pinterest board for later. 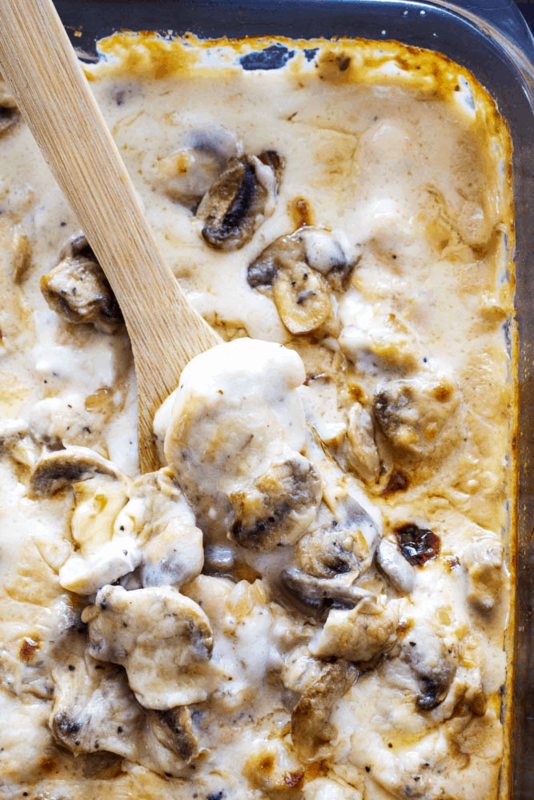 Creamy Chicken and Mushroom Casserole - This easy weeknight dinner is saucy, creamy and full of chicken and mushrooms - a meal the entire family will love. Heat large skillet over medium-high heat, add 2 tablespoons of olive oil and add 5-6 chicken strips, as much as the pan will allow without overcrowding. Cook chicken, turning after 2-3 minutes, until a nice golden brown on each side. Place all cooked chicken strips in a 9x13 glass baking pan. Repeat with remaining chicken strips and 2 tablespoons of olive oil. Using the same skillet add 2 tablespoons olive oil. Add onions, garlic and mushrooms and cook until onions are transparent. Add cooked onions and mushrooms on top of chicken strips. Using the same skillet, melt 4 tablespoons of butter over medium-high heat. Stir in flour until combined. Add in milk, continuously stir until it starts to boil. Add in cream cheese and cream of mushroom, stir until creamy and smooth and no visible chunks. Remove from heat and pour over mushrooms and chicken. Broil on high for 2-3 minutes to give a nice golden top. Serve over rice or egg noodles (cooked per package directions). I have a kid that doesn’t like mushrooms. What would you suggest as a substitute? You could leave them out or substitute another vegetable that your family prefers. Enjoy! 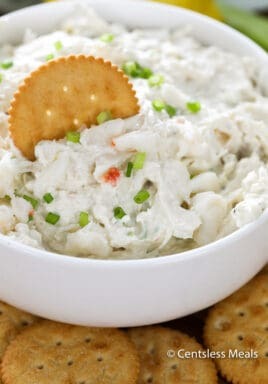 if you are our of cream cheese, do you think sour cream would be a decent sub? looks yummy!! 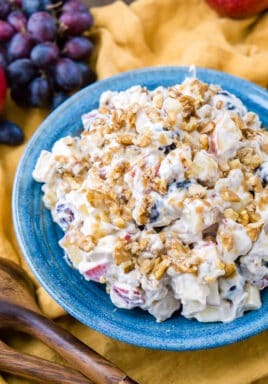 I have only tried the recipe as written but I think that would work and it will change the taste and texture a bit. Let us know if you try it Virginia! 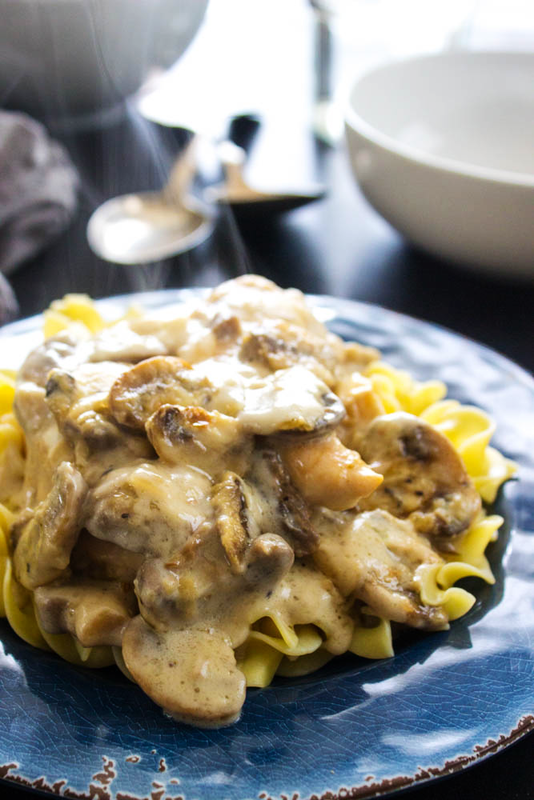 Creamy Chicken and Mushroom=WHAT TEMPERATURE? 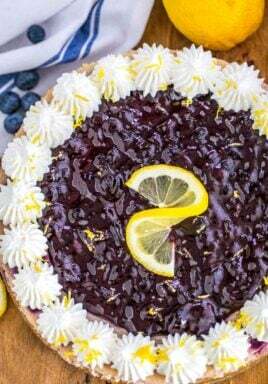 350 degrees – updated the recipe – thanks Viv. Questions on the creamy chicken and mushroom casserole. 1. Oven temp? 2. Amount of garlic? Randall – sorry about that. 350 degrees and 2 tablespoons minced garlic. Enjoy! We have updated the recipe card as well.